This one is unmarked so not sure what to think of it. I heard that around 1966 these were not marked so it may be from that era. 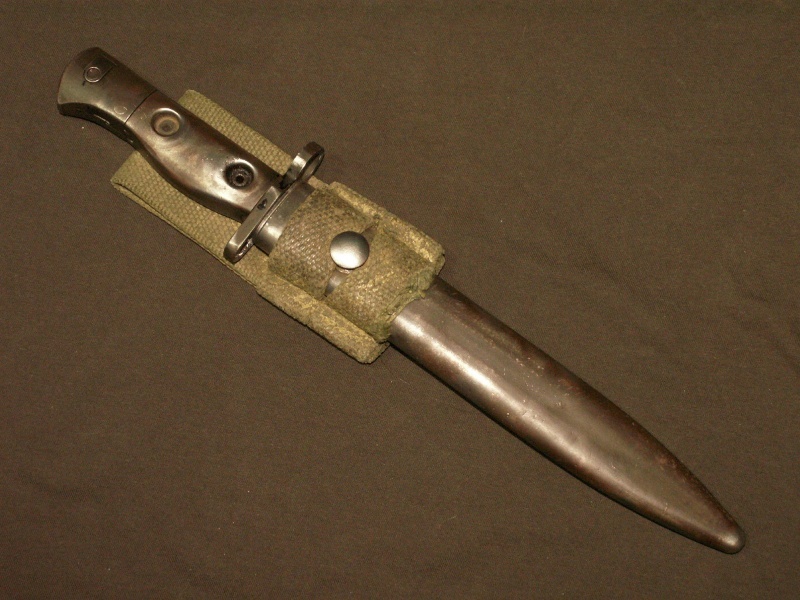 Looks like the whole bayonet is made of brass...the blade and scabbard at least. It is in nice unissued condition though. 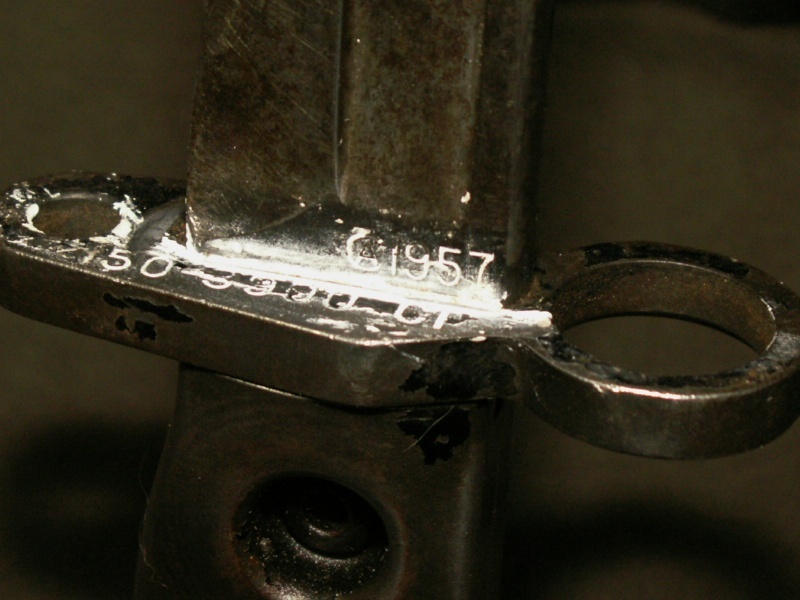 The throat of the scabbard is made of brass in order to prevent wear to the blade from being inserted and removed. I'm quite certain that the brass color on the bayonet itself is from rubbing against the brass throat and that the entire bayonet is actually made of steel because it is parkerized and you can't parkerize brass. When compared to my 1957 dated C1 bayonet the first thing I noticed is the shape of the fuller groove on the blade is different. The ends on mine are squared off where they are rounded on yours. 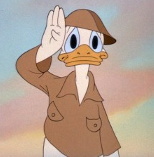 Perhaps your bayonet was made by a different manufacturer than Canadian Arsenals for some reason which is why it's unmarked and has the different style of fuller groove...? 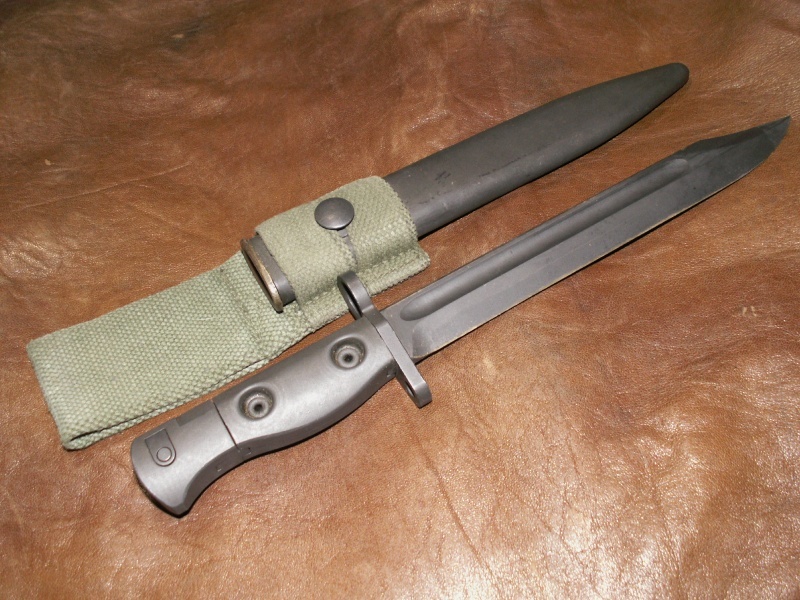 Can you show a photo of the other side of the bayonet so that we can see the details of the release button? 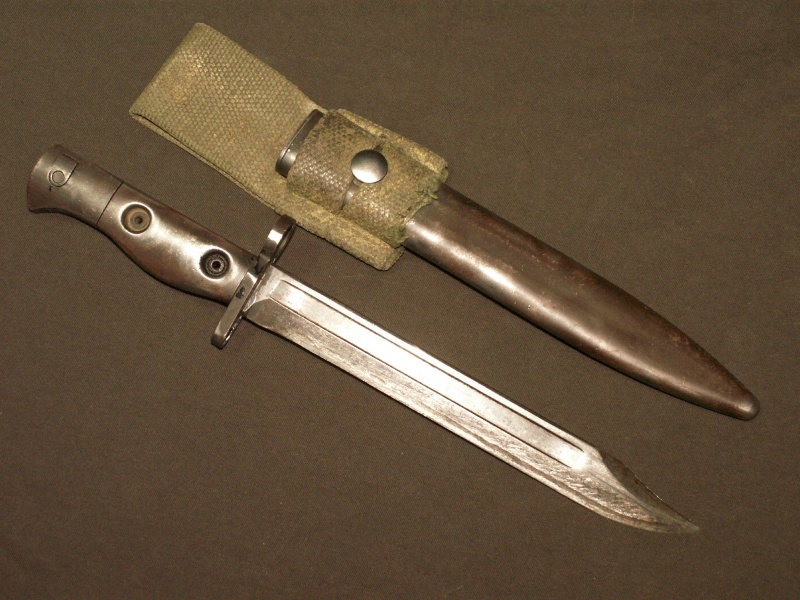 The British also used these bayonets with their L1 series of rifles which may be another possibility. From what I read online, it says that around 1966 a bunch of surplus blades were purchased from Britain and put together here...apparently to fill dwindling supplies of bayo's for the CF. Hence the unmarked blades. I will see if I can find that info again and link it here. I was tired last night and didn't think of doing it then...good excuse eh. Thanks for the info on the blade...I was certain the blade was brass since it is all over the edge that shows. Rubbing off while sheathing the blade makes sense now. I'm also getting a 1957 dated C1 bayo...just not here yet. This one kind of fell on my lap so I had to buy it...plus it is in better shape than the one coming to me. That would make sense and explain the different details on the blade. Nice find. 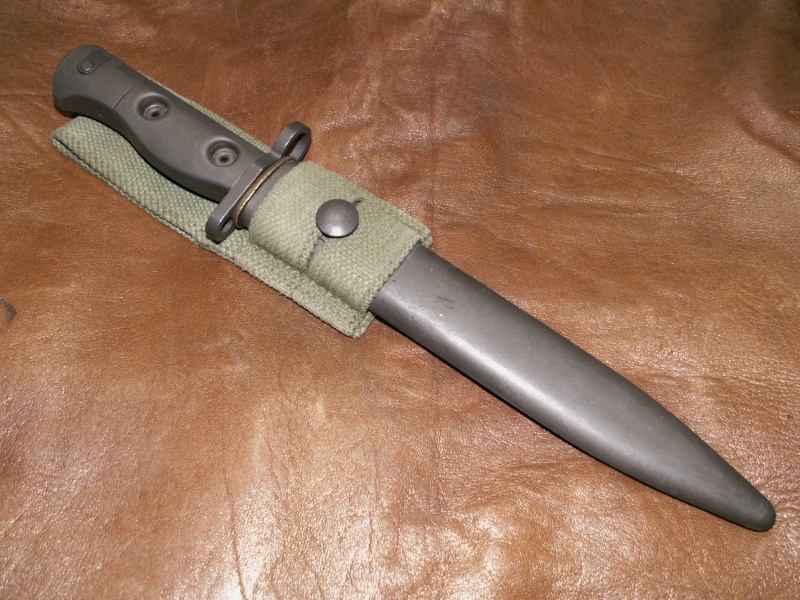 You have a nice example of a British L1A1 bayonet. 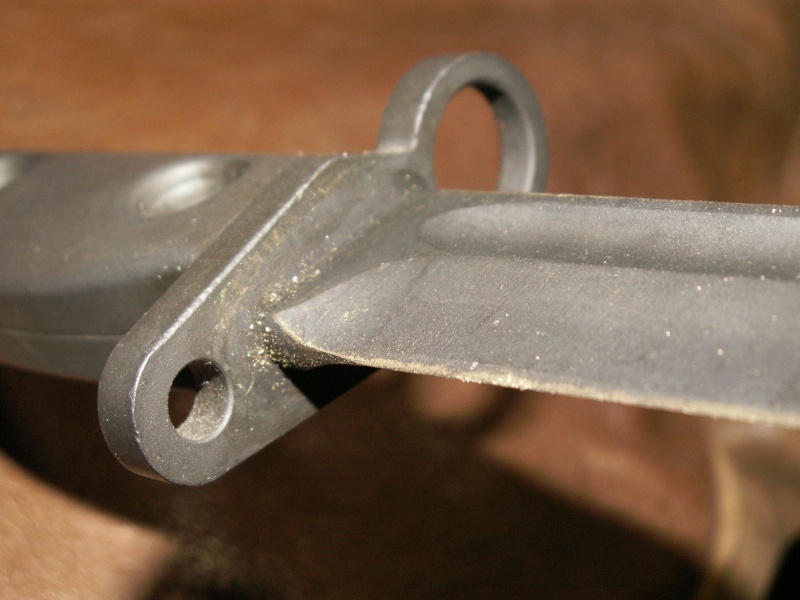 The blood groove on the Canadian blade has square cut ends and the British one has round ends as shown. Canadian blades will also include a CA and a date. Nice to see the proper scabbard as well as Canadian ones used a steel mouthpiece. Yep, your right. It looks to be a Brit model. The blades from Britain thing I read was speculation so no need to post it. Will still go nice on some webbing displays. No one will know the difference. Now I just have to wait for the Canadian one to arrive. Yup, it is a Brit one, I have the same type, new still covered in oil. Still looks good though. Got the Canadian one in today. It looks like it has had a tough life but it is still displayable. Looks like someone put whiteout on the stamps to read them better. Now I have whiteout all over my computer screen!